Russia´s Ministry for Industry and Trade has ended its cash for clunkers programme, but officials say that will not lead to a car sales slowdown. 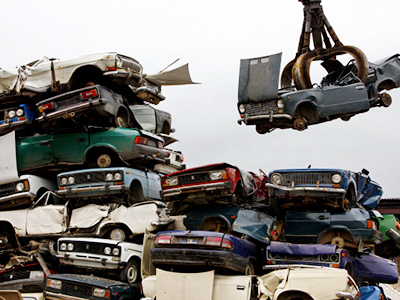 Launched on March 8, 2010, the cash for clunkers programme was extended several times, with about 600 thousand vehicles being swapped using it.In total, the Government spent 11.6 billion roubles in 2010, as followed by additional 18.45 billion roubles in 2011. Avtovaz gained the most out of this programme, with its sales accounting for about 80% of the total, and showing a year on yeargrowth of 45.7% in 2010 and 30% in 1Q 2011. Sergey Udalov, executive director at Avtostat, told Vedomosti that people bought the cheapest vehicles, with a classical model of Lada and Renault Logan being the sales leaders. However, Russia's Minister of Industry and Trade, Viktor Khristenko, said this stop won’t lead to any significant market fluctuations referring to optimistic data from Association of European Businesses that says that car sales in Russia were up 60% in 1Q 2011. Khristenko also expected that in 2011 car sales will continue to grow. According to Alexey Rakhmanov, deputy head of the Ministry for Industry and Trade, 500 thousand vehicles out of the total 600 thousand, were domestically produced. Anyway, data from ASM – Holding, a Russian provider of analysis and consulting in car and agricultural engineering, shows that the programme didn’t in fact renew the auto park, with 16.6 million cars, or 48.2% of all automobiles, still being older than 10 years. This means that just 3.5% of old vehicles will have been replaced by the end of the year.